When Polyvore was shut down without notice its users had nowhere to go. Some had spent years building up their sets and designs only to have them take away and destroyed. 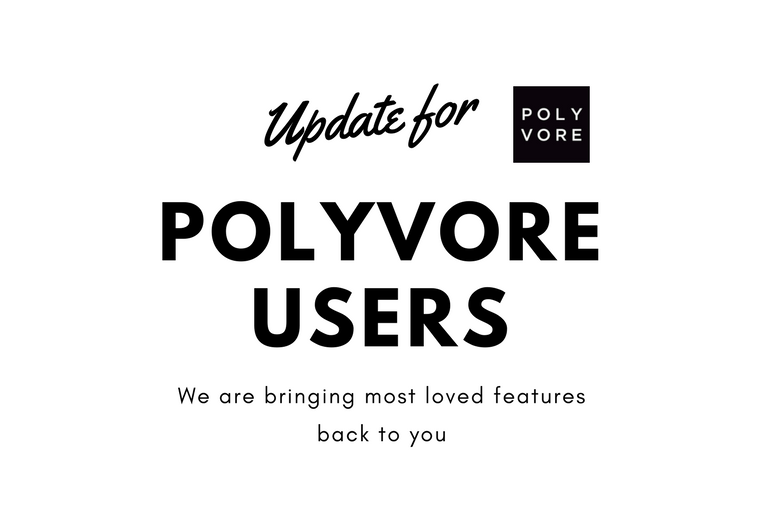 And, while some other platforms got on board and offered ex-Polyvore members an alternative, it seems that Fashmates is going all out to replace those essential things Polyvore members miss most. In, 4 Ways Fashmates is Helping ex-Polyvore Users, we explore the main reasons why Fashmates is attracting so many new visitors. There is the Live Chat option that allows ex-Polyvore users to talk to a real person about their concerns. They know and trust that they are no longer just a number on a spreadsheet, and that there is someone out there who does care about them and their work. Fashmates has already introduced a number of features similar to those found on Polyvore. These include a Collage option, Clipper and much more. These features were specially created to ensure that ex-Polyvore users can continue to produce some amazing creative sets. As well, Fashmates offers all ex-Polyvore users the opportunity to reconnect with their community with FriendFinder – an option specially designed for all Polyvore users. As you read this more and more ex-Polyvore users and members are finding Fashmates. They are discovering that there is a trusted place online that has their best interests at heart. Fashmates knows and understands how devastated Polyvore users felt when it was shut down without notice, and it is clear as more and more of its members flock to Fashmates, that Fashmates is becoming the best alternative online for them.